Austria offers some of the most fantastic skiing in the Alps. Coupled with excellent nightlife and lots of evening activity options in resorts such as St Anton, it makes for an excellent corporate event destination. Skiing in Austria can be accessed with as little as an hour’s drive from the airport so if you are looking to maximise your time with your clients away from the office, it is a great choice for a client entertainment event. Skiing in St Anton offers something for all levels of skiers, however intermediate and advanced skiers will find some of their best challenges skiing in this area. The extensive ski area covers a total of 86 lifts including the ski areas of St. Anton, Lech, Zurs, Stuben and St. Christoph. Set against the dramatic backdrop of the Wilderkaiser Mountains, this picturesque medieval town has been a magnet for skiers for decades. The resort is suitable for every level of skier from beginner to expert and has plenty of terrain for those wishing to challenge themselves. The lift system has recently been improved with the addition of two six man chairs and a new gondola. The town itself is steeped in history and is renowned for its authentic Tyrolean charm. The heavily buttressed walls contrast with delicate frescoes while remnants of the silver mining history of the town are left as a reminder of the past. With restaurants, shops and exquisite boutiques to explore in the town combined with the famous skiing terrain, there is plenty to do both on and off the piste. Tucked away in a wooded mountain valley Lech is part of the world famous Arlberg ski area. Attracting an up market clientele and often the choice of royals, Lech has a something of a reputation! Due to its enviable position in a high valley Lech is very snow sure, often recieving a little too much snow! The village is picturesque with a domed church, covered wooden bridge over the river and several upmarket shops. Top hotels line the main street with guests returning year after year. The open air cafes and horse drawn carriages all add to the old world Austrian charm. As part of the Arlberg ski area, Lech is not short of challenging terrain and is suitable for skiers of all levels. Mayrhofen sits between the Penken and the Ahorn mountains and is a typically picturesque Tyrolean town. With the Ahorn offering skiing for all levels and the Penken mountain boasting Austria’s steepest piste, Harakiri, as well as a large range of ski runs at different levels of difficulty, the Zillertal 3000 ski area has every reason to call itself one of the finest skiing and snowboarding areas in Europe. The resort is connected by lifts with the villages of Finkenberg, Lanersbach and Schwendau. With 157 km of slopes, 49 lifts and snow guaranteed to 2,500 metres (that’s 8,250 feet, in old money) there is something here for everybody.The town itself is very lively with a nightclub made entirely of snow and plenty of bars, restaurants, shops and activities to keep visitors entertained both on and off the piste. Small, refined, traditional. Located at 1,800 m above sea level, St. Christoph is one of the Alps´ highest ski resorts. A spacious yet cosy mountain village. St. Christoph became famous in the 14th century when the shepherd Heinrich Findelkind built a hospice as a shelter against the whims of nature. Today St. Christoph offers is home to a handful of hotels and inns. The evenings are best whiled away in rustic lounges where you can enjoy hearty dishes, fine wines and happy laughter. St Christoph offers instant access to the renowned Arlberg Ski Area. 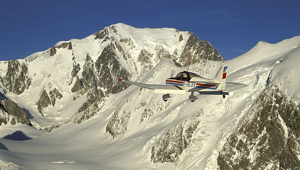 The Arlberg Ski Area is without doubt one of the world’s premier and most popular ski destinations. With a vast network of cable cars and lifts and, in addition to its natural beauty, the most reliable snow in Austria and excellent ski slope maintenance. The Arlberg ski area includes the exclusive resorts of St Anton, St Christoph, Lech and Zürs, all in all creating a skiers paradise. 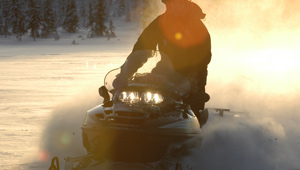 For those who want fun and relaxation off the slopes, local facilities include a network of cross-country ski trails covering almost 40 km, a fun park, an illuminated toboggan run and ice rinks for skating and curling. Set in the province of Salzburgerland, this magnificent ski area is renowned for its wide range of pistes and efficient lift system, connecting Saalbach to Hinterglemm and Leogang. Saalbach itself is a superb ski resort with an attractive village centre and a lively, traditional atmosphere. The area has an excellent snow record as well as some wonderful sun traps where visitors can sit out on the terraces of traditional mountain restaurants and enjoy the Winter ambience. The ski area boasts over 200km of pistes and terrain to suit all levels of skier and boarder. The smallest of five linked ski resorts in the Arlberg region, Stuben am Arlberg is a quiet village that prides itself on traditional Austrian hospitality, world class skiing and a long season typically lasting from early December until May. With an average 12 meters of snow each winter, more than St Anton, Lech and Zűrs, Stuben is the powder capital of the Arlberg and the gateway to some of best off-piste skiing in the Arlberg on slopes that remain untracked and in good condition for long after the last snowfall. The village itself is small and welcoming, suited to those looking for peace, tranquility and fabulous skiing. Zürs am Arlberg is an intimate ski village, sitting at 1720m in the heart of the Arlberg region. The village is small and exclusive, with only twenty two hotels and guest houses surrounded by some of the most snow-sure mountains in the Alps. 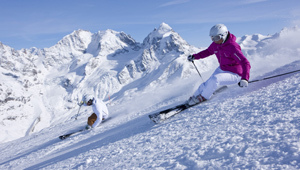 The fantastic variety of slopes and scenery are all part of the extensive Arlberg Ski Area. With a vast network of cable cars and lifts and, in addition to its natural beauty, the most reliable snow in Austria it is easy to see why the area has become one of the most famous in the world. The Arlberg ski area includes the exclusive resorts of St Anton, St Christoph, Zürs, Lech and Oberlech, all in all creating a skiers paradise. I've had great feedback from all quarters (skiers and non-skiers; drinkers and drink less-ers) on your team and the event.